Many of our guests at 24 North Hotel leave Key West with their fondest memories spent in the water, especially snorkeling. Visitors can snorkel off the beaches, the historic Fort Jefferson in Dry Tortugas, or in the only living coral reef in North America. Not sure exactly what you’re looking for? Here are the best places to snorkel in Key West. The living coral reef is just miles from the island, spanning 4 miles long. It’s the third-largest in the world. See its glory for yourself! Snorkel charters across the island supply visitors with gear and take them to explore the best parts of the reef. Check out deals with Sebago Key West or with Fury Water Adventures, who offer a “Reef and ‘Ritas” package that includes snorkeling in the reef and margaritas on the way back. If you were already thinking about taking a day trip to Dry Tortugas -- located 70 miles west of Key West -- let the snorkeling experience seal the deal. The protected sanctuary makes for a lot of activity in its crystal-clear waters: queen conchs, starfish, tropical fish, and historic artifacts. Dry Tortugas is accessible via ferry that departs daily from Key Bight in Key West. Snorkeling gear and lunch is provided with ferry ticket purchase. For more info on your day trip to Dry Tortugas and Fort Jefferson, check excursion details of the Dry Tortugas ferry. Fort Zach is an active spot for snorkeling, but definitely pack water shoes for this one! The water is Caribbean clear but notoriously rocky. Snorkeling gear and more is available for rent at the park. Guides can also point you to the best areas for snorkeling. 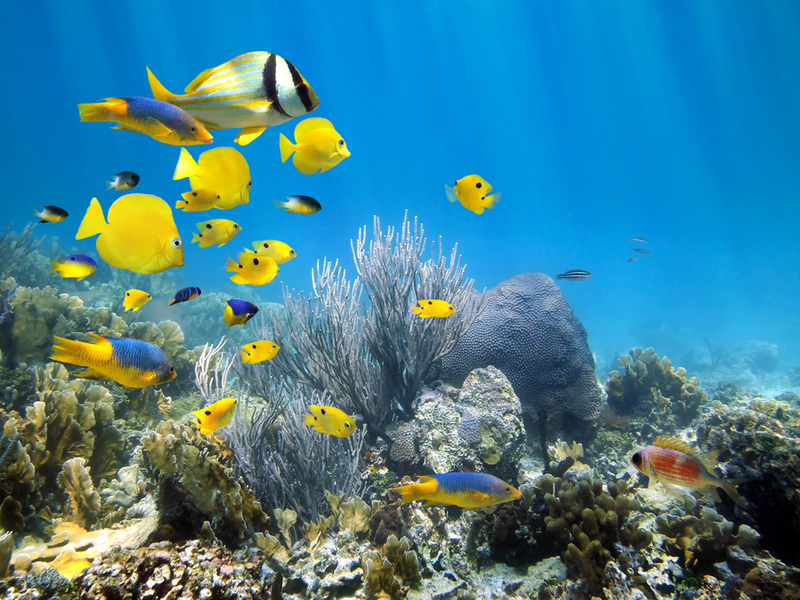 See sea turtles, parrot fish, lobster, and all different types of corals. If you have your own gear, Higgs Beach is a great option for free snorkeling! If not, gear is available for rent at a fair price along the beach, along with beach chairs and umbrellas. Key West isn’t known for particularly sandy beaches, so make sure to bring water shoes. Along the breakwall, snorkelers will see the most activity, including various tropical fish, sea urchins, corals, sting rays and more. Seaweed can sometimes be an issue. Higgs is located on the southern end of the island, near the fishing piers. Book your stay at 24 North Hotel! Offering free shuttle services to Mallory Square.